Opinions expressed are all honest and true. I’m very hesitant using teas especially for detox unless I read the ingredients, guidelines and read a few reviews about the product first. This is why I decided to use and request the 14 Day Skinny Teatox. I wanted a detox with natural ingredients, that tastes good and that actually works! 100% natural 14 Day Teatox is the most popular product – and the #1 teatox in North America (although they ship to most places around the world). The Ingredients in the tea consist of tea leaves and stems, malva verticellata, cassia angustifolia (senna leaf), cascara sagrada, arctostaphylos uva ursi, ginseng, licorice, chrysanthemum, cinnamon bark, cloves, yerba mate and ginger. 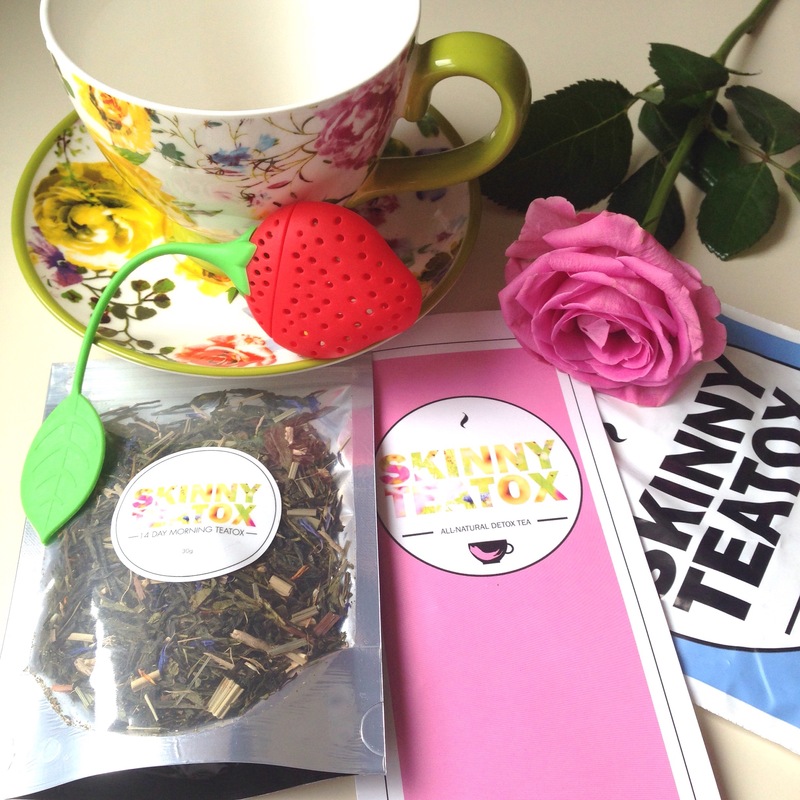 All the ingredients in Skinny Teatox are 100% natural. There are no chemicals or preservatives.Vegetarian. Vegan. Gluten free. GMO free. Nut free. I’m really pleased with the results of the 14 Day Skinny Teatox Tea. The tea works amazingly with weight loss, detoxification, increase of energy and food suppression. I’m truly pleased that this can be accomplished by a really great tasting tea that is all natural! I used 1 tsp of the loose leaf morning tea and steeped it for 2-4 minutes. The Morning or Daytime tea is a stimulant tea made with all natural and healthy loose leaf tea which gives lots of energy through the day. It also increases your metabolism and aids with appetite suppression. The Evening tea comes in teabags and is the cleansing and detoxification tea. It is a colon cleanse that flushes out the digestive tract of toxins and unwanted excess which could be making it more difficult to lose weight. This tea is caffeine free. The Evening tea is to be taken every other day in the evening. This also steeps for 2-4 minutes. 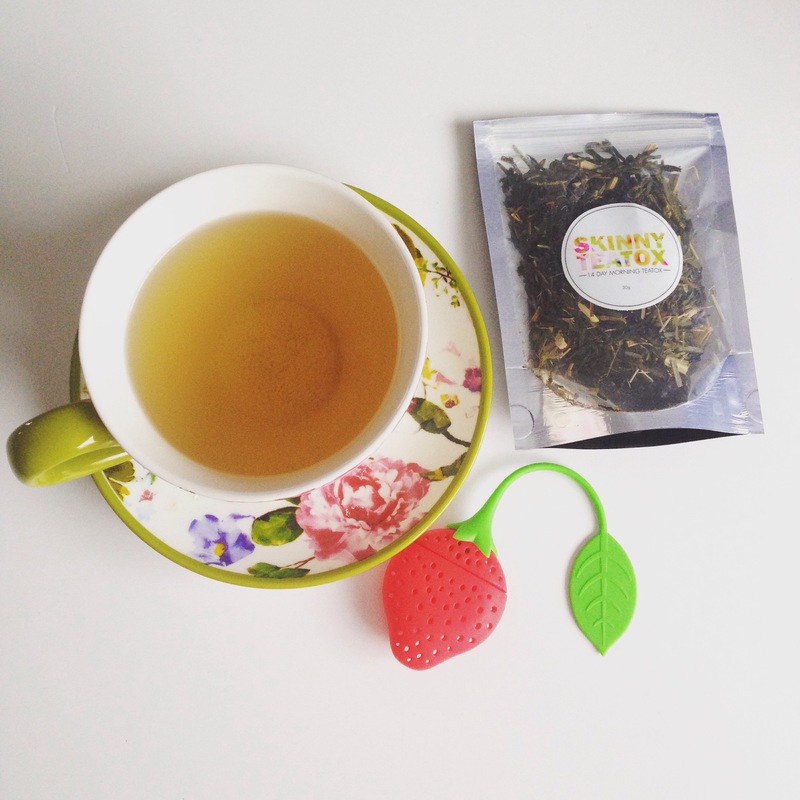 This tea will cause a mild laxative effect to naturally cleanse and detoxify your system. I’m very pleased with my 14 Day Skinny Teatox. It has helped me with my bloating and has really helped with cleaning out my system. I feel that the tea has definitely helped me with my metabolism and food suppression. I did eat less the usual. The tea has helped me loose a weight and I’m really grateful because its a good start to getting back to the way I was before having two kids. 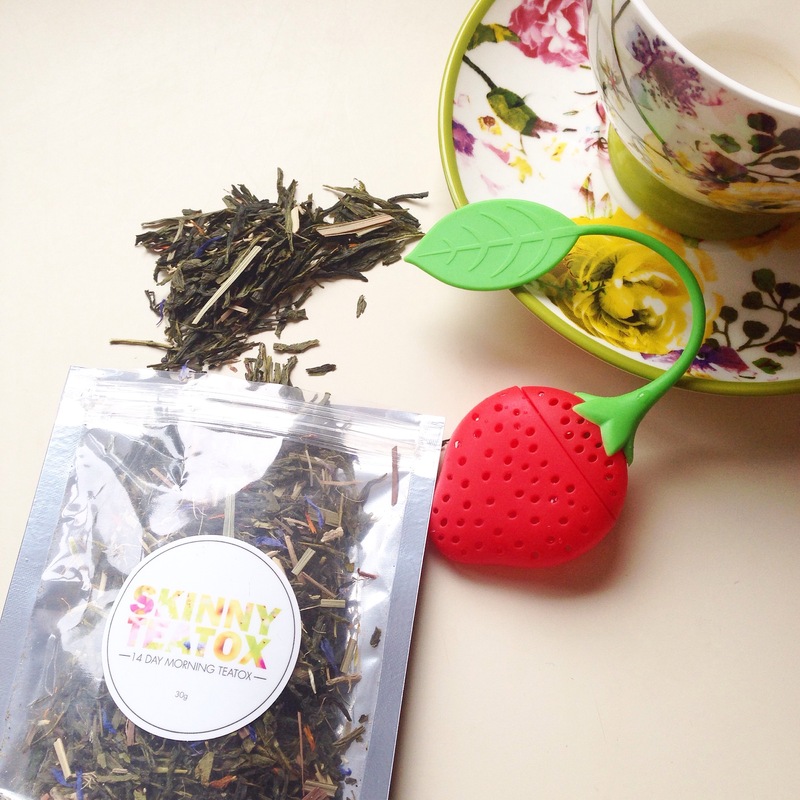 I’ve enjoyed the of the 14 Day Skinny Teatox. It’s not strong at all. It has a light aroma and I love that it doesn’t leave an aftertaste in my mouth. I’m very particular with flavour and can’t drink anything that smells bad so i’m truly pleased that this tea is pleasant and enjoyable to drink! I highly recommend this detox tea and feel its a great way to start my weigh loss journey! Thanks Karen! Yes very sweet!